After a start that offered much hope, the team's finish gave Cleveland nothing but heartaches and anger. The team started the year 6-3, but lost six of their final seven games to finish 7-9. Brian Hoyer started the year as the starting quarterback and went 7-6 before inconsistent play towards the end of the season pressured the coaching staff to make a change. Rookie Johnny Manziel was no better as his first start ended in a 30-0 blowout at the hands of Cincinnati. Rookie running backs Terrance West and Isaiah Crowell combined for over 1,200 yards on the ground but both had issues with their fundamentals. Prized free agent running back Ben Tate was released midseason because of attitude issues over playing time. Wide receiver Josh Gordon caught 24 passes for 303 yards in five games after returning from a 10 game suspension for violating the league's substance abuse policy. Andrew Hawkins, Taylor Gabriel, and Travis Benjamin all showed they could stretch the field. Tight end Jordan Cameron dealt with a severe concussion for much of the season and only caught 24 passes. The running game had the third best yardage total in the league but after Alex Mack broke his leg in the fifth game, the rushing yards fell to 17th. The defensive line was a mess as many key starters missed a significant amount of time because of injuries. The linebacker corps was strong both inside and out as Paul Kruger lived up to his free agency price tag and Karlos Dansby led the team in tackles before being injured late in the year. The secondary is the strength of this defense as Joe Haden was the teams shutdown corner and safety Tashaun Gibson was leading the league in interceptions before injuring his knee with five games left in the season. The team had four pro bowlers in left tackle Joe Thomas, cornerback Joe Haden, free safety Tashaun Gibson, and strong safety Donte Whitner. Thomas proved why he's one of the best tackles in football by making the pro bowl for the eighth straight year. Haden covered the opponent's best receiver each week. Whitner was the vocal leader of the team and finished with a team leading 106 tackles. The rookie class had a mixture of good and bad performances. Cornerback Justin Gilbert didn't give enough effort to please teammates or coaches and Johnny Manziel was an embarrassment. However linebacker Chris Kirksey showed a nice transition to the pro game and guard Joel Bitonio stepped up after injuries to the interior lineman. 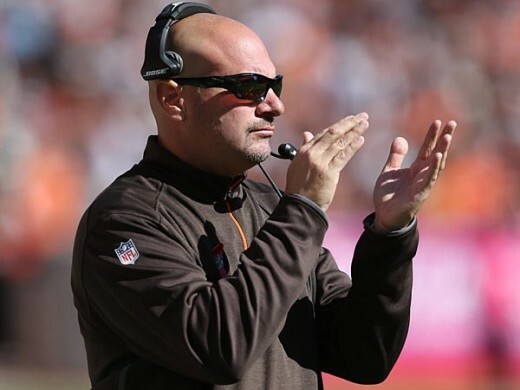 After going 7-9 in his first season as head coach, Mike Pettine looks to have the right mentality and attitude for the city of Cleveland. After offensive coordinator Kyle Shanahan left for Atlanta, he was replaced by former Oakland Raiders quarterback coach John DeFilippo. On February 3, quarterback Johnny Manziel voluntarily entered a rehab facility for dependence on alcohol. He left the facility two months later. 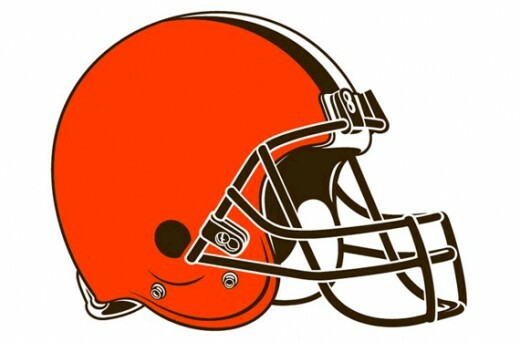 On March 30, it was announced that general manager Ray Farmer was suspended for the first four games of the season without pay and the Browns were fined $250,000 for sending text messages to coaches and coordinators during games during the 2014 season, a violation of NFL rules. Going into the draft, Cleveland held the 12th overall pick and the 19th overall pick from Buffalo after they traded up in the 2014 draft to select Sammy Watkins. The Browns had many positions to address including quarterback, wide receiver, and defensive tackle. Johnny Manziel showed no reason the Browns should have faith in him this season. They acquired Josh McCown, but he is nothing more than a journeyman at this point. Josh Gordon will likely be suspended for the entire year after another failed drug test and Jordan Cameron is now in Miami. The Browns need a dominant receiver. Cleveland finished dead last against the run last year and they have given up more than 2,000 yards rushing in 14 of the past 16 seasons. The defense needs a dominant run stopper in the middle. 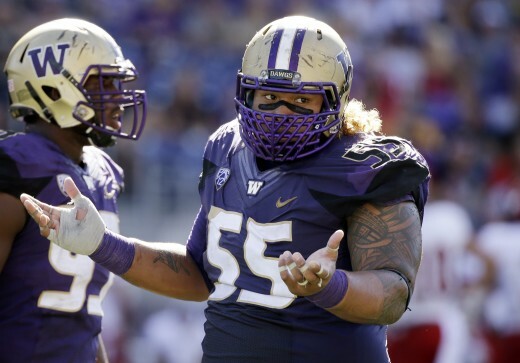 The Browns ended up selecting Washington defensive tackle Danny Shelton with the 12th overall pick and Florida State offensive lineman Cameron Erving with the 19th overall pick. Shelton was seen as the best run defending defensive tackle in the draft but doesn't have the technical skills of a pass rusher. 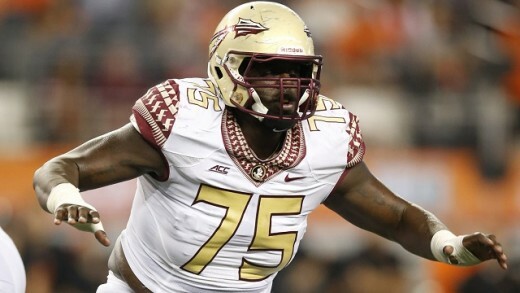 Erving was praised for his versatility as he played almost every position on the offensive line in college but he isn't very consistent with his footwork or hand technique. Cleveland also notably selected Utah defensive end Nate Orchard in the second round, Miami running back Duke Johnson in the third, and Oregon cornerback Ifo Ekpre-Olomu in the seventh. Orchard had one of the quickest first steps of any defensive end in the draft but he has a lean fram and lacks the muscle definition needed for the position. Johnson had one of the best acceleration speeds of any running back in this draft but he lacks the ideal size for a three down running back at the pro level. Ekpre-Olomu was the best playmaking cornerback in the draft but fell to the seventh round after tearing his ACL in preparation for Oregon's Rose Bowl match against Florida State. The path of Cleveland's season will be paved by the play of the quarterback. Whether it's Johnny Manziel or Josh McCown, the quarterback can't put the team in a compromising position if Cleveland is expected to win. All the other pieces on this team are in place. The quarterback has to show up and make good decisions. This team can either be a playoff caliber team or the worst team in football. Which one will it be? I have no idea. How will the Browns fair this season? Their running game is horrible. If they are thinking of signing Ray Rice you know how bad things must be. Browns showed promise at times last year, but really looked poor towards the end of the year.